The Digital Shop: A Discussion. If you are contemplating the future and know you’ll need to get there maybe sooner rather than later this roundtable discussion has a lot of information for you. 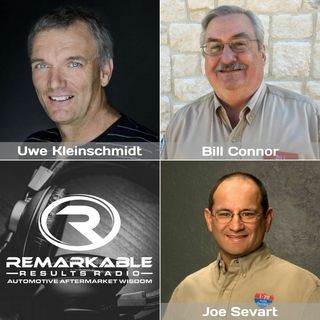 Panelists are Joe Sevart from I70 Auto Service from Kansas City, MO, Bill Connor the General Manager form Craig’s’ Car Care in Allen, TX and AutoVitals CEO Uwe Kleinschmidt. There are many important info points here to help you and guide you in this inevitable change to your business that will be as ... See More important as having lifts in the bays. You may not be ready to implement a totally digital inspection, CRM, and workflow system, however, you’ll want to invest the time in this episode, to you keep your learning curve high and hear from shop owners who have done it and are so happy they did. The digital strategy is to have the service advisor to do more advising and less busy work. Digital also allows the customer to be anywhere and still see the problems via still pictures and videos.